Geelong After Dark is Central Geelong’s pop up night of arts: the annual multi-award winning event transforming the streets, laneways and venues of Geelong’s CBD. Explore the city and be surprised by a jam-packed program of exciting and unique pop up performances, installations and arts experiences. For one night only. 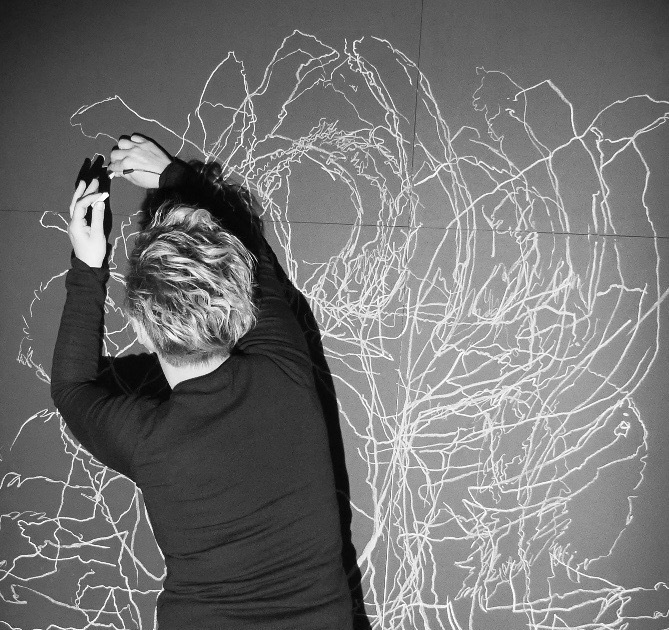 Movements & Creation is an installation performance piece that combines earth and air, chalk and breath, music and drawing. Flautist Brighid Mantelli will perform original compositions that will be amplified and looped whilst candle flame and chalk artist Danielle McCarthy will attempt to capture the shadows cast by performers..
for ” As If Art Festival”. My PhD Supervisor Dr Jondi Keane and his colleague Dr Kaya Barry will be involved in Fluid States: Performing Mobilities PSi event in RMIT Gallery, Melbourne, Australia, in September-October 2015. PAN & ZOOM is an interactive installation in development for the Fluid States: Performing Mobilities PSi event in RMIT Gallery, Melbourne, Australia, in September-October 2015. It is comprised of two complimentary works: “panoramic-environments” by Kaya Barry, and “Dilating the Event” by Jondi Keane. Together the works become a space where images generated by PSi participants are dimensionalised and the usual modes of viewing are dilated. The two works expand the performative aspects of image-making and viewing through: expansion and intensification / perception and realisation. “panoramic-environments” involves PSi participants collating audio-visuals to produce a moving panoramic projection. It is mobilised by a projector mounted to a dolly-track that participants can move, and a trackpad (digital input) which viewers can scroll the panorama with or against the dolly’s movements. It extends on the collaborative production of panoramic audio-visuals from the Fluid States North cluster (Copenhagen, June). 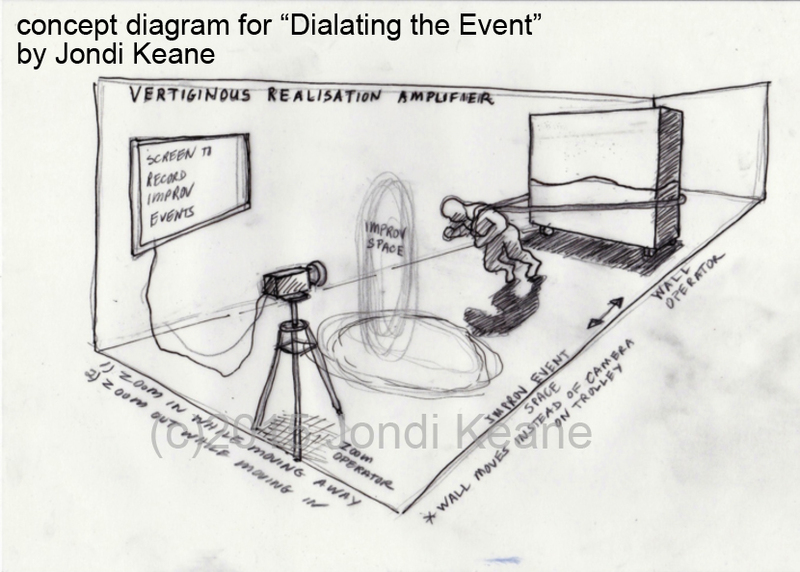 “Dilating the Event” involves the disambiguation of the famous dolly-zoom effect in cinema where the camera zooms in while moving back or zooms out while moving in, resulting in the image expanding to amplify intense moment of realisation. A wall is physically moved by a participant to move the camera, while another person operates the camera-zoom to co-produce the performative dolly-zoom affect.